Taste, tradition, quality and the search for continuous improvement are key elements at the heart of Campbells range of products. Drawing on bakery skills traced back seven generations to 1830 and with the sourcing of the finest ingredients sourced worldwide, Campbells tray bake its renowned range of pure butter shortbread, butter cookies, and the firm’s latest butter oat shortbread lines. For the first time in 10 years, quintessentially English Brand Elizabeth Shaw will be exhibiting in Cologne. This chocolate brand will be showcasing its 130 year history to both existing and new markets, as it drives to expand its international presence. Visitors can sample the company’s original Mint Chocolate delights including the world famous Mint Crisp as well as the indulgent range of Famous Names liqueurs with iconic spirits and liqueurs brands. The past year has been an eventful one for Fudge Kitchen, which recently celebrated its 35th birthday. “2018 has been another great year for us. We’ve continued to grow and innovate, including partnering with Debonair Tea Company on a tea and chai selection of fudge, and developing our vegan offer,” explains managing director Sian Holt. Crowdfunding helped get confectionery firm MIA off the ground With the first chocolate bars crafted in Madagascar just over 12 months ago, MIA will build on a positive first year by attending the world’s largest trade show for sweets and snacks – ISM. Since launch, MIA has had a busy year with the brand launching in Australia, Belgium, France, Germany, Portugal, The Netherlands, Sweden and the UK. At ISM, the firm will showcase its range of “fair-made” (and vegan) chocolate bars: 100 per cent Cocoa, 75 per cent Dark Chocolate and a variety of inclusion bars in a 65 per cent dark chocolate base. Plamil’s So Free brand is to be extended with a new launch at ISM Plamil Foods is gearing up to launch its So free Smooth at ISM in Cologne. The company’s new 80g milky style bar has been developed with only natural occurring sugars. 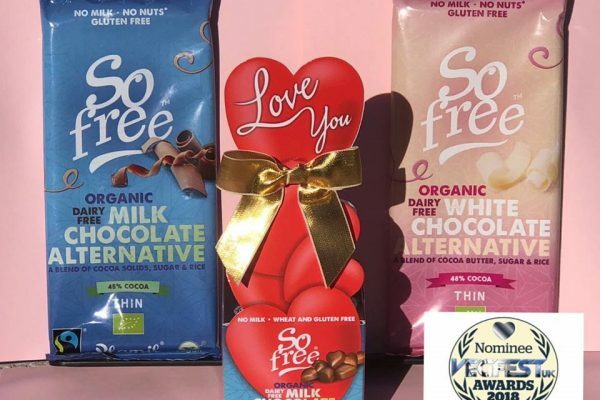 As the UK’s longest established company, the business is adding to its extensive range of So free branded chocolate released over the past year. Northumberland-based Sweetdreams is returning to ISM after a successful appearance at last year’s event. 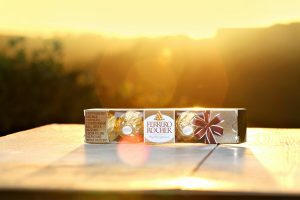 For 2019, it is launching its quality gifting line ‘Reivers range’ of panned, high quality confectionery using premium chocolate and carefully selected fruit and nut centres. 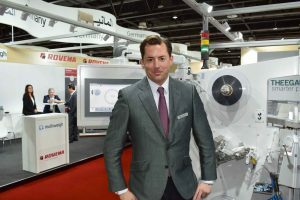 According to the company, it is expanding into new markets with sizeable new customers on board, and the ISM arena will provide the opportunity to discuss its plans with new and existing clients. The firm’s distinctive confectionery ranges, including the unique Choc Nibbles products, are making sound progress via the extended discount sector, new product development and international export. Whitakers Chocolates is marking its return to ISM after a five year absence, with an extended and redesigned retail range to celebrate its 130th Anniversary. 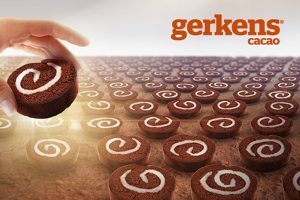 New flavours of wafers include ginger, salted caramel and Orange to complement its well-established mint wafers and new products include Chocolate Truffles, Chocolate Bites, Chocolate Hearts and a range of 90g Chocolate Bars, which can be personalised. The investment in new products and machinery has been supported with the appointment 12 months ago of Ian Webster as Sales Manager and more recently Gemma Whitaker as marketing manager. Willie Harcourt-Cooze, a pioneer of ‘bean to bar’ chocolate making, uses the softly floral Rio Maranon Cacao, and bestowed it with fruit and nuts. He makes all his chocolates in small batches from the best single estate cacaos in the world. He uses only natural ingredients and never adds vanilla or soya lecithin as they would spoil the flavour. To remove the acidity and preserve the precious flavour notes this rare bean from the remote Maranon canon in Peru, he conches it for a huge 21 days which is around 100 times longer than most industrial chocolate. Family toffee makers, Walker’s Nonsuch is celebrating its 125th anniversary at ISM – which it has exhibited at for the past 45 years. Throughout history, the company has made quality toffee with just good ingredients, using whole milk and butter. The range includes toffee bars, 14 varieties of twist wrapped toffees and chocolate eclairs in bags and jars, in different sizes to suit all markets and a unique gift hammer pack range. BRC accredited and vegetarian friendly, Walker’s Nonsuch Toffee is free from artificial colours, preservatives, hydrogenated vegetable oils and gluten too.